Life science blog development is one of the best ways to engage with customers. 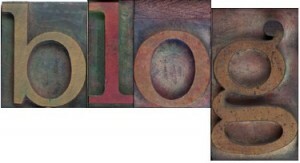 A blog is a dynamic way to start discussions with researchers and customers about the issues surrounding your offerings. From reviewing peer-reviewed publications, to life science industry news, to tips and tricks about your products, developing blog content is a great, search engine optimized way to leverage social media. Comprendia has a proven track record with life science blog development, and we will show you not only how to start a blog, but how to maintain content, grow your readership, and meet your objectives.